Packed with history, this 52-mile trail passes through much of the Pureora Forest Park – full of 1,000-year-old podocarp trees – on the North Island, as well as ancestral lands, once roamed by Maori tribes. Skywards you'll spot North Island kōkako birds, kākā parrots and the New Zealand falcon while blazing through the park and on the ground you'll pedal past sika deer, possums and the Hochstetter's frog. It's not just old logging routes and bush tramways you'll be tracing either – the trail crosses no less than 35 bridges, nine of which are long and high suspension bridges, including New Zealand's second highest swing bridge: Maramataha. If there’s a cycle route that really encompasses everything that New Zealand has to offer in one handy trail, then this would be it. The country's longest continuous ride, stretching 187 miles across the South Island, it starts at the lofty heights of Aoraki/Mount Cook – the nation's highest peak and a UNESCO World Heritage site – and the breathtaking Tasman Glacier. You’ll then descend through the glacier-carved Waitaki Valley and pass through the golden highlands, where the turquoise lakes of Tekapo and Twizel nestle. Carry on your 2,000m decline past the rural plains and vineyards of Duntroon, home to the limestone Elephant Rocks and Maori rock art, before finally taking a refreshing, well-earned dip in the Pacific Ocean at Oamaru. Calling all Lord of the Rings fans! If you're mad about the Tolkien classic, then this trail is home to several of the trilogy’s filming locations. Right on the doorstep of New Zealand's capital Wellington, you can swap the hustle and bustle of city sight-seeing for some of the country's most distinctive landscapes along the 71-mile-long route. Beginning in Wellington Harbour, the trail hugs the Hutt River (Great River Anduin) before winding up through Hutt Valley (Helm’s Deep and the gardens of Isengard) and cutting into Kaitoke Regional Park (Rivendell). 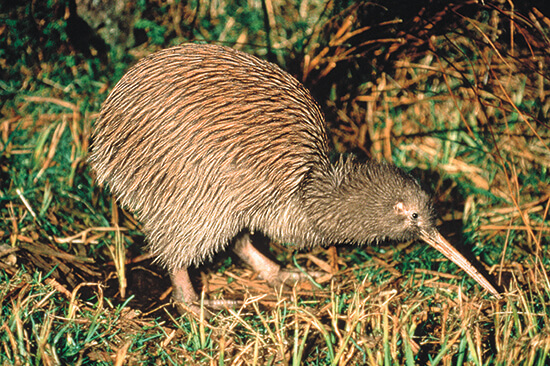 Here you can spot the New Zealand's most famous symbol, the brown kiwi, as well as red deer and possums. Pedal into the Wairarapa region, famous for its vineyards and wetlands, before tracking the Rimutaka range as it plunges into the Pacific Ocean. Continue along the aptly-named Wild Coast (keeping your eyes peeled for seal colonies), round Turakirae Head and you’ll be right back in Wellington. Slap bang in the middle of the North Island, the Great Lake Trail offers the perfect escape for those seeking some tranquillity. The trail skirts Lake Taupo, New Zealand's largest (it's roughly the size of Singapore), snaking through forested tracks from Waihaha to Whakaipo Bay. You'll come across turquoise waterfalls, cross boulder-strewn rivers and hear the calls of tui and bellbirds. 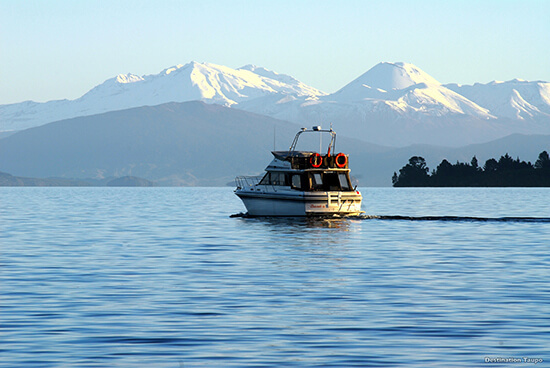 Peer across the lake and you'll see the majestic volcanic peaks of Tongariro National Park – the perfect cycling canvas. It's a steady gradient throughout so is suitable for most bikers, but the trail can be broken up into three sections if you want to tackle it over several days. 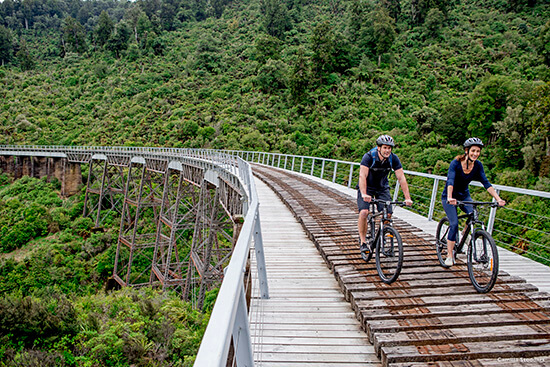 Otago was the first cycle trail to be named as one of New Zealand's 'Great Rides' back in 2000. Tracing the Otago Central Railway on the South Island for 93 miles between Clyde and Middlemarch, the four-day ride offers ever-shifting big sky landscapes. River gorges morph into open plains before switching to high country sheep stations. The trail also passes through several villages, where interested locals will be happy to hear all about your experiences on two wheels, and might even share their own tales too. You'll be handed constant reminders of the region's rich gold mining history, passing through and over tunnels and bridges, pedalling past abandoned gold excavation sites, machinery and preserved settlements. If you fancy yourself as an Olympian, the trail even passes New Zealand's only international curling rink: Maniototo. The trickiest ride on our list but worth the challenge. 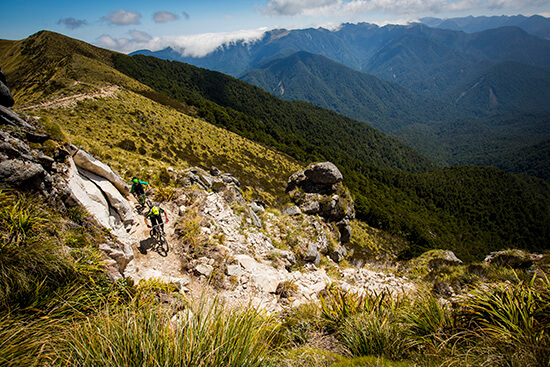 This 50-mile track is one of New Zealand's newest cycle trails and only officially opened in December 2015. It follows a long-forgotten old miners' road in the north-west of the South Island. Connecting Lyell to Seddonville, the trail effectively acts as an outdoor museum, offering information boards at the mining relics along the road in tribute to the 1870s mining boom. Pedal through the beech forests of the Lyell Valley, up through the lush podocarp rainforests of the Buller Gorge – where you can spot bellbird and rifleman birds – before breaking out of the dense woodland to discover the alpine beauty of the Lyell mountains. The trail then winds through Stern Valley before the last stretch of the trail, the mighty Mokihinui River gorge. Think rocky outcrops and abundant opportunities to cool off in its deep blue pools and crashing waterfalls. For more information about the 23 Great Rides on the New Zealand Cycle Trail, visit www.nzcycletrail.com. 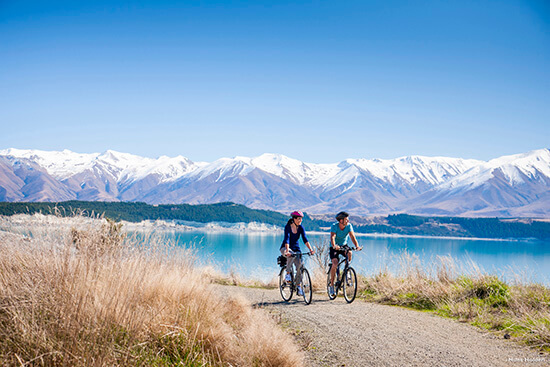 To find out how to book your New Zealand cycling adventure, speak to one of our Travel Experts about our range of tailor-made holidays called Journeys.